Brian Regan’s long-awaited new album, “All By Myself”, is now available for download! Brian is caught in his element live on stage, as he navigates everything from aging, family, texting and reacting to the news of the day. I really enjoyed this album. I think it's cool that you're offering it as a digital download, but there were a few hiccups when I was trying to download my copy. I did get it downloaded completely and I laughed my head off, especially at the jokes with his kids. I do hope that you plan on making this available on iTunes eventually so that even more people can find it and download it with ease. 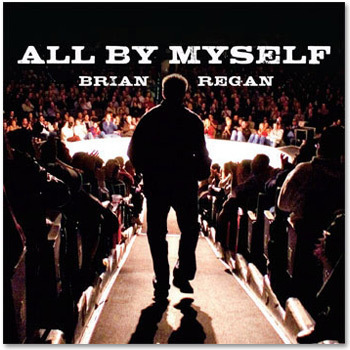 I highly recommend this album to anyone who has even listened to Brian Regan before, because it is excellent.